https://secure.backblaze.com/download.htm. 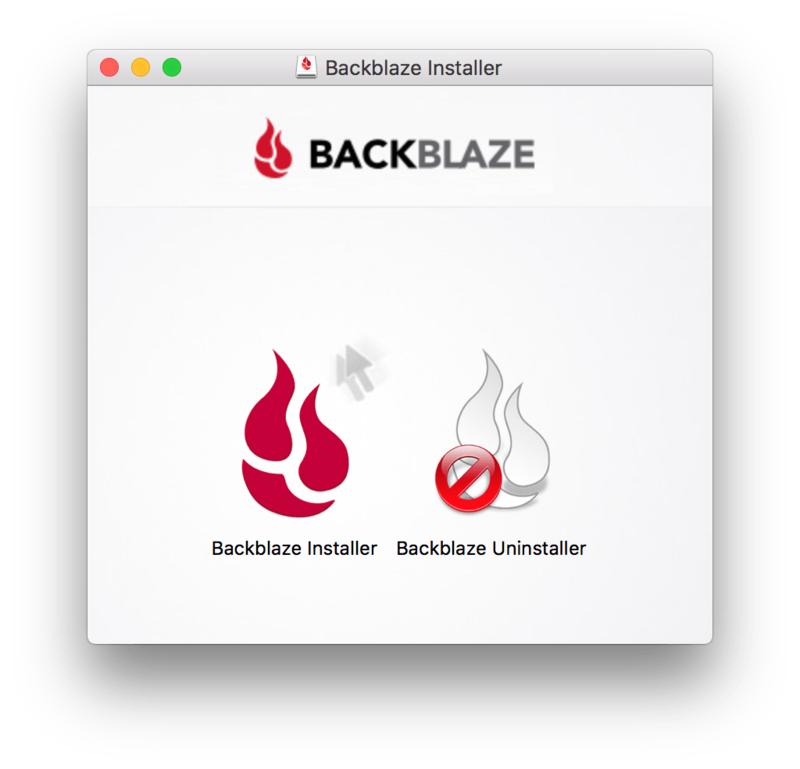 Once downloaded, extract the DMG and open the Backblaze Installer. At the Installer screen, enter your existing credentials or create a new account and click Install Now. The drive will then be analyzed for backup. 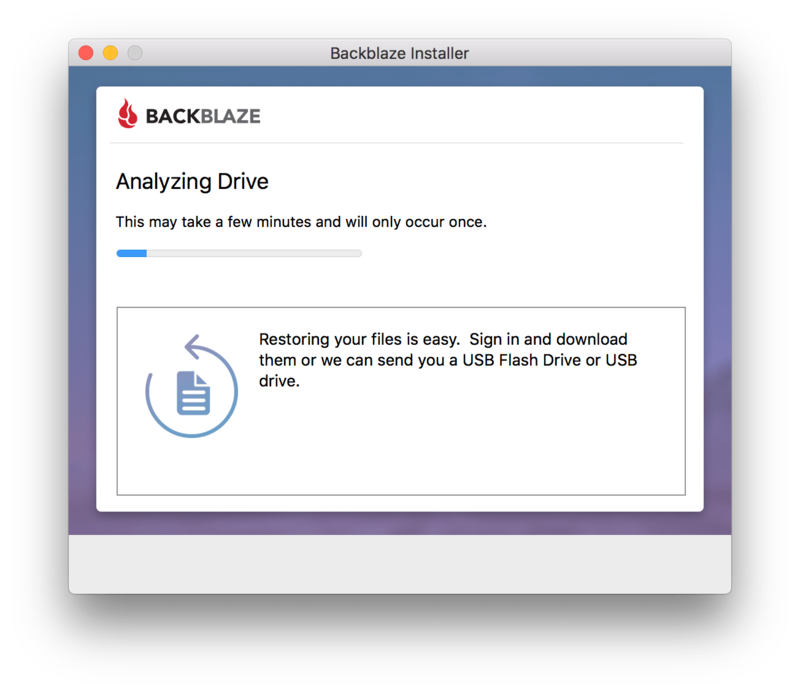 By default, once the analysis is complete, the computer will immediately start backing up to the Backblaze cloud. Let’s click on the Settings button to configure how the Backblaze app will work. This opens the Backblaze System Preference pane. 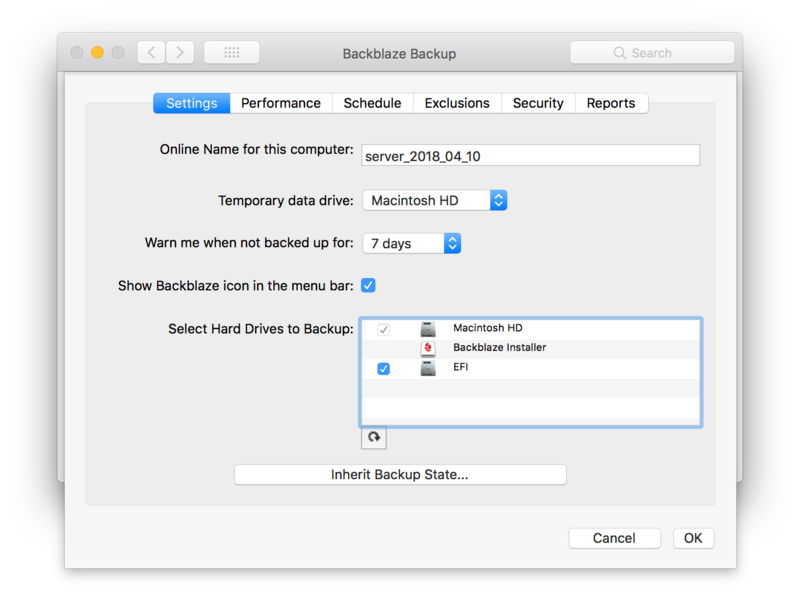 At the Settings tab, you’ll see a list of drives to back up and an option to set when to receive warnings when the computer hasn’t completed a backup recently. 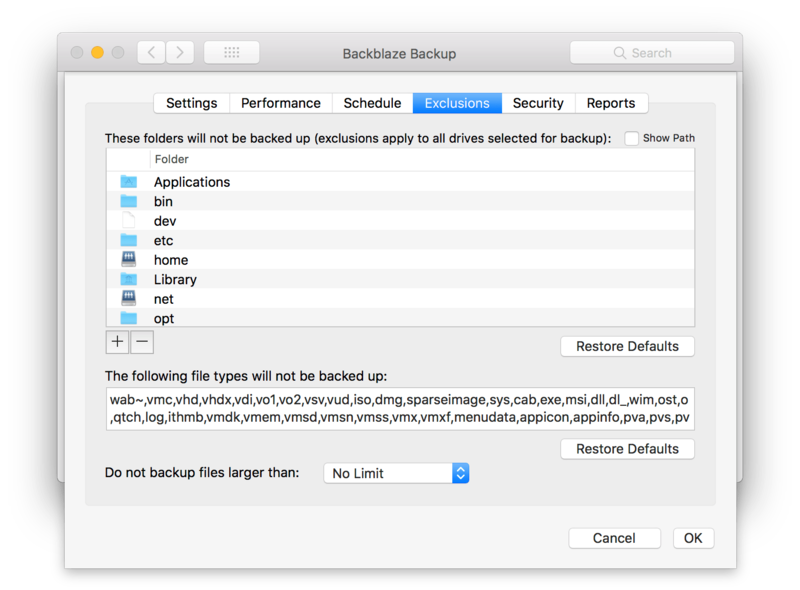 By default, backups run continuously, as files are altered. 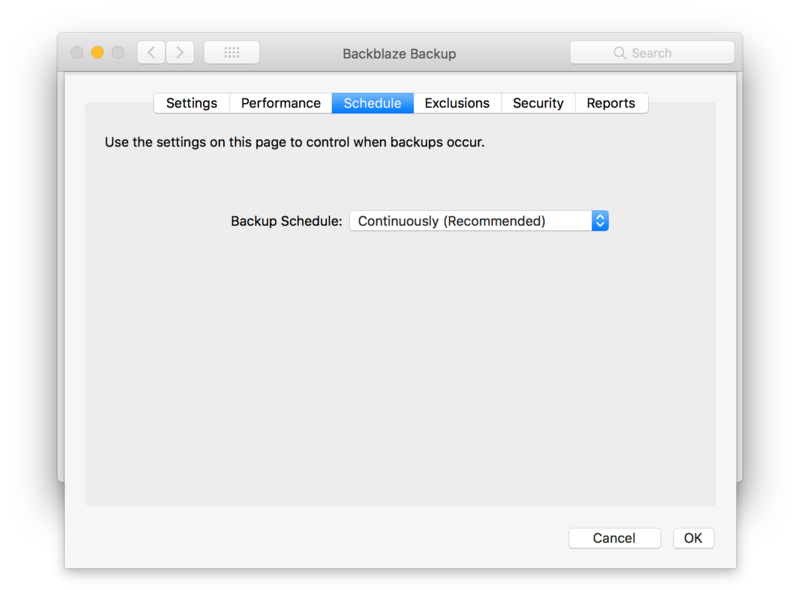 You can use the schedule screen to move backups to a specific time (e.g. at 1am every night). 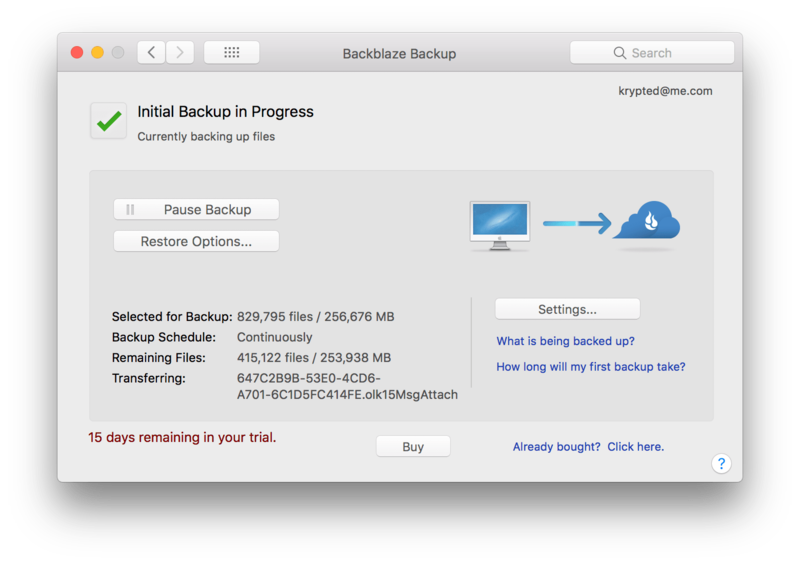 I personally like having continuous backups if you have enough bandwidth to account for them. 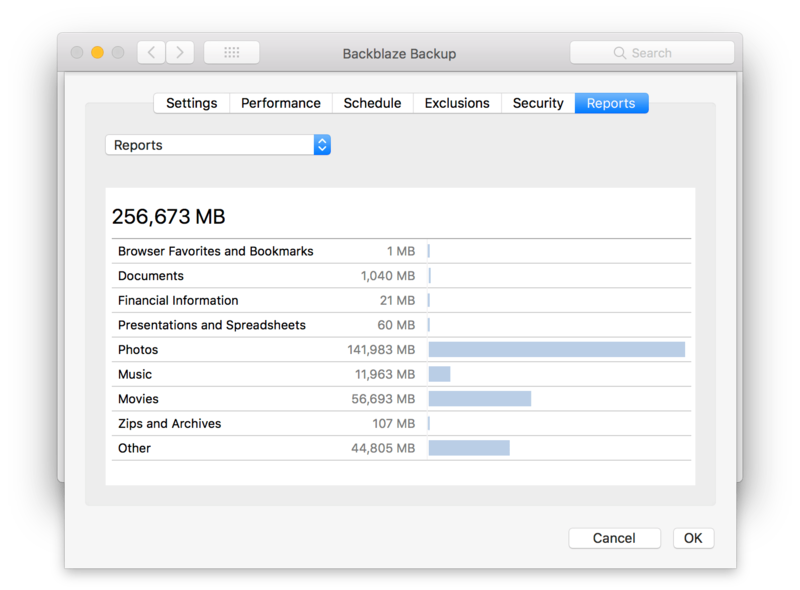 By default, the whole system is not going to get backed up. Click Exclusions and you can see what will be skipped and disable some of the skips. 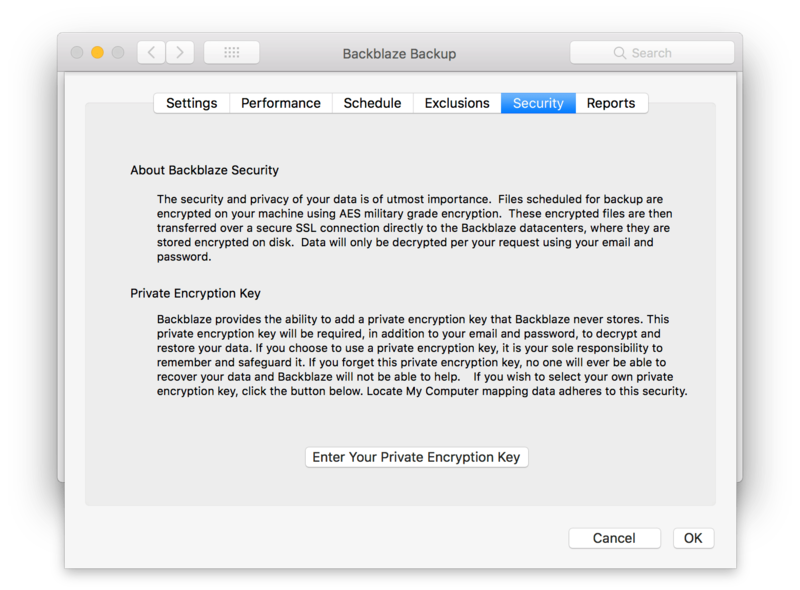 By default, backups are encrypted using public keys. 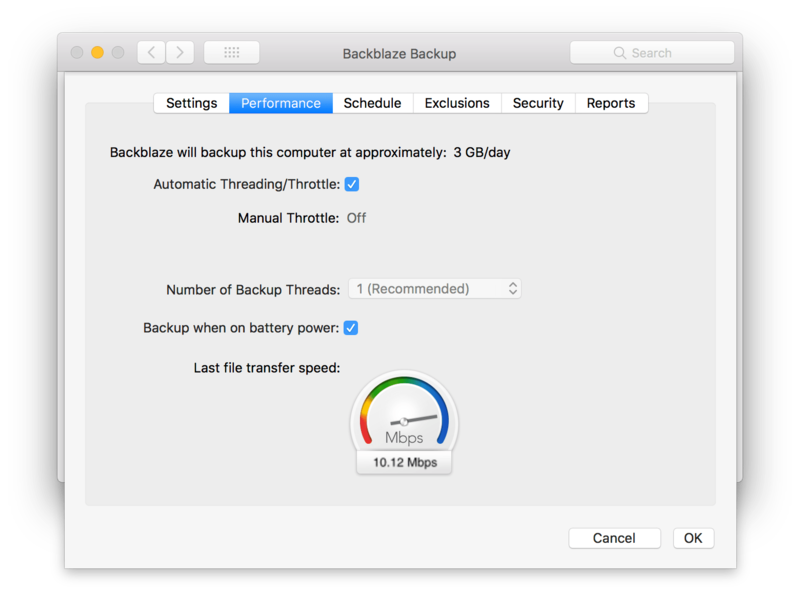 I inherently trust the people at Backblaze. 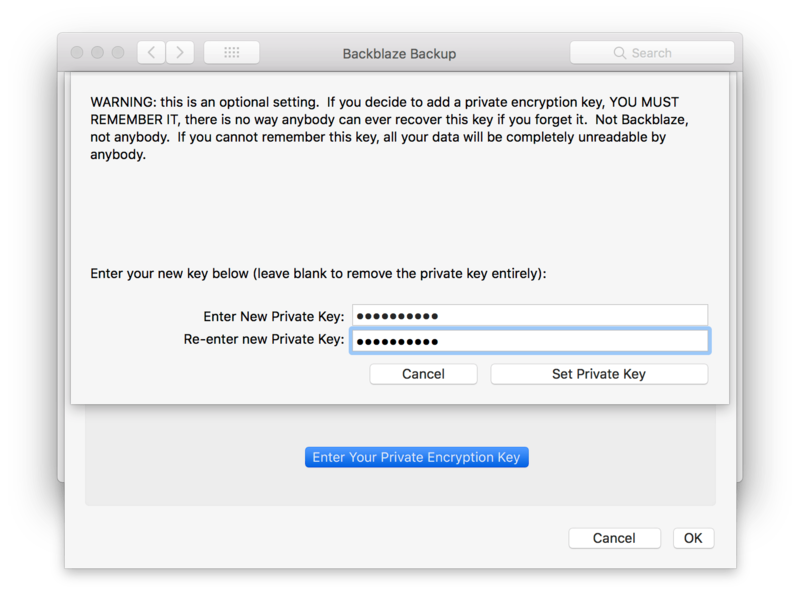 But I still use an encryption key to add an extra layer of security to my backups. To set that, click on the Security tab. At the Security screen, click on Enter Your Private Encryption Key. Once you’ve got a good backup policy set. Click on the Reports screen to see what’s getting backed up!